Bugs: May walk in straight lines and need moving manually, but this is infrequent. 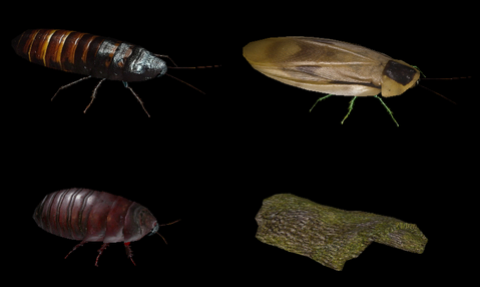 Description: A pack containing three giant cockroach species and a tiny log shelter. If you have aves, the burrowing cockroach can use the Kiwi burrow.